Property 2: First Class Yurt with Everything. Perfect for couple or family. View! Location! Property 6: Marvelous Dry Cabin In Homer, AK! Property 8: Spectacular Views and Privacy at Affordable Price! Property 11: Family vacation home in Homer, Alaska! Close to town yet feels remote! Property 12: Alaska's Premiere Executive Vacation Cottage! Property 16: Beautiful and airy home in Homer, Alaska! Property 18: Experience Alaska! Amazing Views! Property 21: Alaska's Only Bed & Dessert! Property 22: Perfect Couples Retreat in Homer Alaska! Property 26: Cozy cabin in the sky! Property 27: 2 blocks from downtown Homer with great views of the mountains and the bay. Property 31: Gorgeous Home, Private Hot Tub, Incredible View! 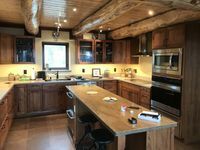 Property 32: Alaska's Premiere Executive Vacation Cottage! Awesome view of bay and surrounding glacier covered mountains! Property 33: Awesome view of bay and surrounding glacier covered mountains! 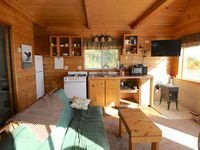 Property 36: Cedar Sun Dry Cabin - Great deal right in Homer! Property 37: Bungalow by Bishops Beach - Just steps from the beach! Property 41: Perfect location for Charters, Family Vacations or even your Beach Wedding. Property 46: Cozy Cottage In Town With A View!